It sure has been raining hits in the house of DMW… and of course, for the superstar OBO Davido (as far as he is concerned) who recently sampled a snippet listen to his newest single titled “Fall“ with a release date that is yet to be announced. The young father of two, took to his Twitter to hype an upcoming music hit he just made with Tinny Entertainment’s Ycee, describing the record as legendary! Me and @iam_YCEE made a legendary record last night!! WHAT A HIT!! Cc @ItsAdey !! 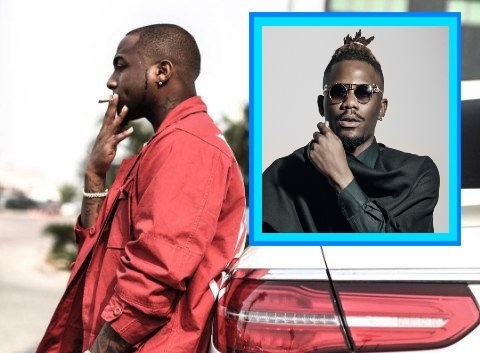 Recall that Ycee just displaced the 30 billion braggard with his Maleek Berry-featured song ‘Juice’ that knocked Davido’s ‘If’ off the number one spot on the music charts. The tune since its release, has received such massive reception that even Daddy Yo had to recognize and drop a comment about it. So now it looks like the OBO has decided to usurp some of that juice, and with the flava creator too of course. The legendary stuff is produced by Adey. Stay woke for what’s coming guys!